Sliding storage that maximizes space. 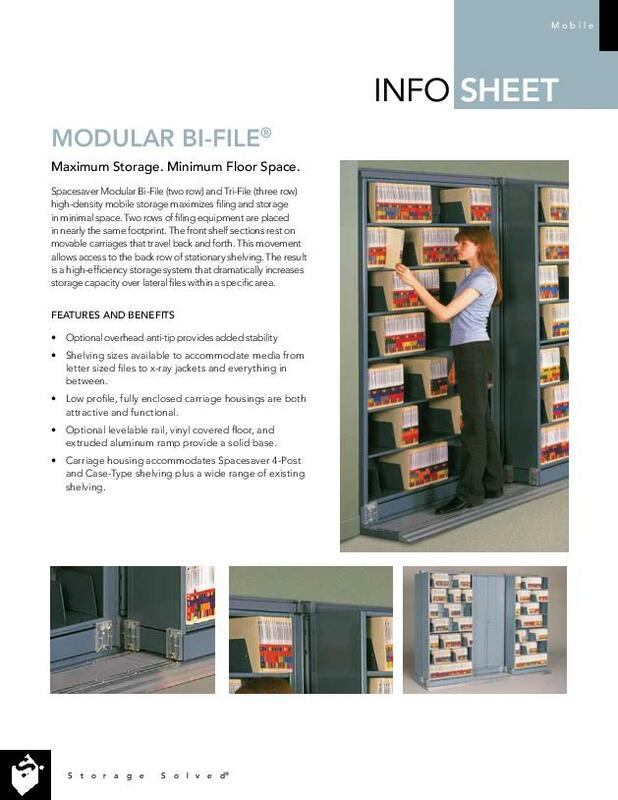 Spacesaver Bi-File (two row) and Tri-File (three row) sliding storage systems are an affordable way to maximize storage capacity, since two or three rows of shelving are placed in nearly the same footprint. The front shelving sections are mounted on movable carriages that move laterally on a track, which allow access to the back row of stationary shelving. 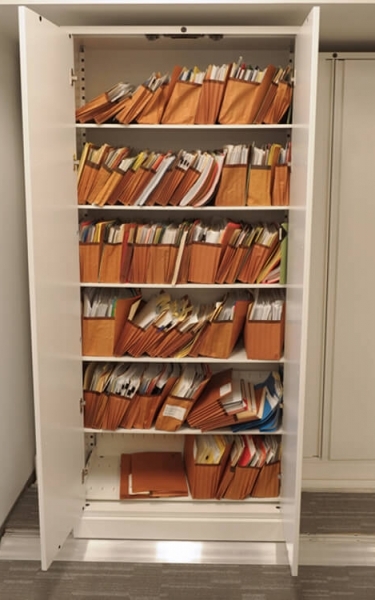 The result is a cost-effective, high-efficiency lateral filing system that dramatically increases storage capacity within a given area. Are you dealing with a lack of space and chaos where organization should thrive? 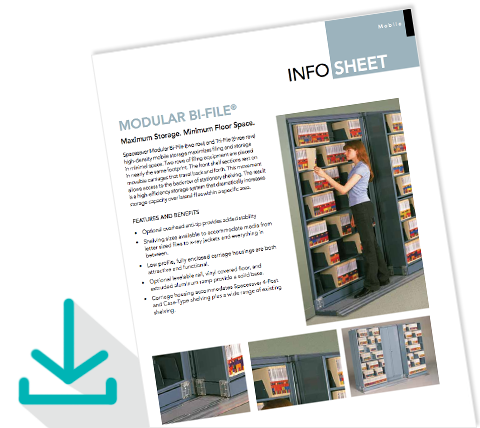 Take back space and organization with Spacesaver’s Modular Bi-File and Tri-File, learn more by downloading our info sheet. 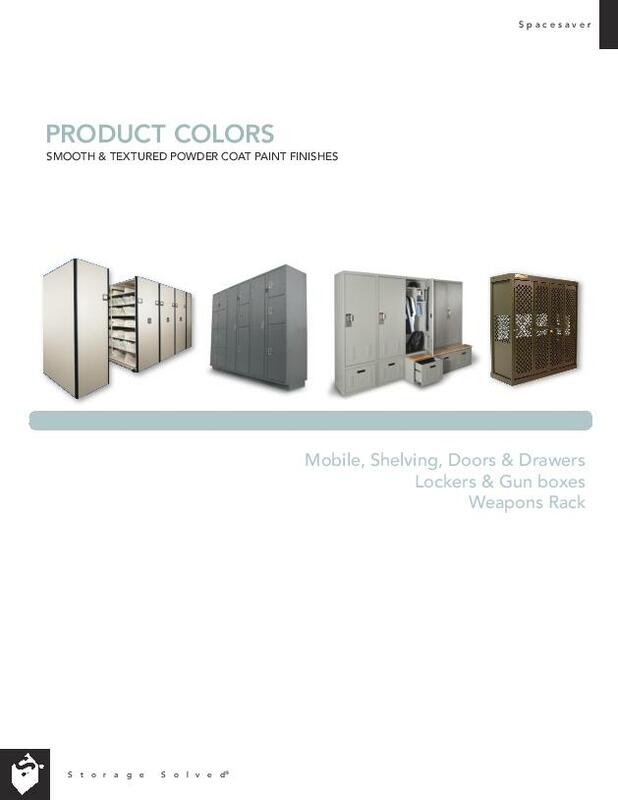 Spacesaver’s Bi-File and Tri-File’s track rails can accommodate your existing 4-post, cantilever, or case-type shelving, or we can arrange the purchase of new shelving in your choice of Spacesaver colors. Our modular bin system, FrameWRX, can also be installed on this system. If your office space is likely to change in the future, keep in mind that these units are easy to relocate if necessary and the system is modular, which means that additional units can easily be added at a later date.